He calls for universal coverage--but that's hard to get if insurance companies run the show. During the campaign Barack Obama has talked about healthcare on and off–more on during the primary campaign, when Hillary Clinton pushed him about whether people should be required to buy insurance; more off when healthcare has been eclipsed as a red-hot issue, such as during the financial crisis. When he has talked about healthcare, his oratory has been short on details and punctuated by twin themes: a call for universal coverage and for reducing the average family’s insurance premium by $2,500. Obama has consistently stuck to those points, even though there has been little media examination of what they really mean and, more important, whether they are achievable. Obama and his health advisers propose to make the system more efficient and cover everybody by enhancing the country’s so-called public-private partnership. In effect, the Obama plan, by offering subsidies to those who are uninsured, would deliver more business to companies already profiting handsomely from the peculiarly American system of health insurance. If his plan survives the legislative process and all works according to his policy prescriptions, somehow the country will get closer to universal coverage. Millions of people, however, will still be left out–unable to qualify for the public programs yet also unable to afford the ever increasing premiums of private ones. The exact number was a matter of contention during the primaries. It’s hard to cover everybody in a system where health insurance is not required (Obama’s plan mandates coverage only for children), where the price of care is out of reach for so many and where insurance companies make money by denying coverage to those who are sick. Yet it is on these very points that Obama’s ideas for reform have been frustratingly vague. His aides have said they are going to leave it up to the legislative process. During the debates on the Democratic platform, Michael Yaki, who directed the platform meetings, said, “There’s no real consensus yet on which is the best healthcare reform to do other than we are committed to universality and we’re committed to getting there. We believe that as you make healthcare more affordable, people will be able to buy healthcare…. How we get there is a matter of the legislative process.” That’s tantamount to inviting powerful interests, with their formidable lobbying capacity–insurers, doctors, drug companies, hospitals–to have a strong hand in the outcome. So improving the current public-private partnership, such as it is, will not be easy. Obama’s plan builds on the premise that those who are already covered can keep the insurance they have, while proposing different routes for bringing more people under the insurance tent. One would lower eligibility requirements for Medicaid and the State Children’s Health Insurance Program. Another would create a new national public plan for small businesses and individuals who are not covered by public programs like Medicaid and S-CHIP or who don’t have an employer-based plan. In other words, it would be a place where the insurance disenfranchised could buy a policy. Obama has said that the model for this is the Federal Employees Health Benefits Program, which allows federal workers to choose from a menu of policies offered by commercial insurance carriers. The government, like any other employer, pays a portion of the premium, and workers choose policies based on the cost to them and the benefits they offer. Whether private insurers will provide the coverage or the government will–as in the Medicare-for-all plan promoted by groups like the coalition Health Care for America Now–is subject to debate. One thing is clear: people will need help buying policies. The average cost for a family on the open market is now upward of $12,000 a year. Obama has proposed more than $100 billion in subsidies and tax credits to make it easier, which he says would come from repeal of the Bush tax cuts for people making more than $250,000. That, however, would cover only half the cost, according to a July New York Times report, which challenged Obama’s cost-containment strategy. Another way Obama proposes to add more people to the insurance rolls is to require employers to provide “meaningful” coverage for their workers, but meaningful is not defined. If they don’t, they’d have to pay into a fund to finance subsidies for those with low incomes so they can purchase private policies. This is roughly akin to the system in Massachusetts, where employers have to pay a token “fair share” penalty of $295 per worker each year if they don’t offer coverage to their employees [see Lieberman, “No Rx in Massachusetts,” September 18, 2006, and “Cautionary Healthcare Tales,” thenation.com]. But the Massachusetts plan has run into a major budgeting shortfall, so state officials want to require more from employers–that they pay at least one-third of their workers’ premiums or cover at least 25 percent of their employees. Rumblings that such changes could prompt a court challenge from employers just caused the state to delay the new requirements until January and exempt small business from paying more. That hardly bodes well for the same approach on a national scale. Throughout his campaign Obama has promised to lower premiums for the typical family of four by $2,500, which would make private coverage more affordable. He would do that not by cost controls such as global budgets (which limit the total amount that can be spent on healthcare, and which most foreign systems use to control spending) but through a variety of methods that experts doubt will have much impact. These include greater use of health information technology (IT) like patient databases and so-called disease-management programs–essentially, cost-saving through prevention, like reminding people to have regular checkups and tests, encouraging exercise and offering nutritional counseling. These are also embraced by John McCain and are already being implemented in some sectors. Healthcare consultant and blogger Robert Laszewski calls them “cost-containment lite.” They don’t do much to contain costs because they don’t disturb the profits of the healthcare biggies–drug companies, doctors, hospitals and insurance companies. Obama’s early campaign boilerplate called for promoting competition among insurers, which McCain supports as well. But Obama is also proposing tighter regulation of insurance companies. His desire to clamp down on insurers gets at the heart of what makes health insurance tick. Companies make money by choosing the healthiest people to insure–“risk selection,” as it’s known. In large employer groups, the sick and the well balance each other out, so it’s easier for people with pre-existing conditions to get insurance from employers. But more and more employers are dropping coverage, thus driving workers into the individual market, where pre-existing conditions do matter and companies sometimes refuse to offer coverage to people even for minor conditions like ear infections. Obama has said he wants to require insurers to accept everybody. That sounds good on the campaign trail and strikes a chord with those who have such conditions. But when push comes to shove, how hard will he press insurance companies, which have contributed handsomely to his campaign? Exactly what will he make companies do–take everyone but allow them to offer skimpier coverage? Refuse to let people change carriers once they get a policy? When all this was being hotly debated in California last year, some insurers were willing to give up some aspects of risk selection as long as everyone was required to get coverage. So a key question is, How is Obama going to get insurers to give up their bread and butter without requiring everyone to have coverage? 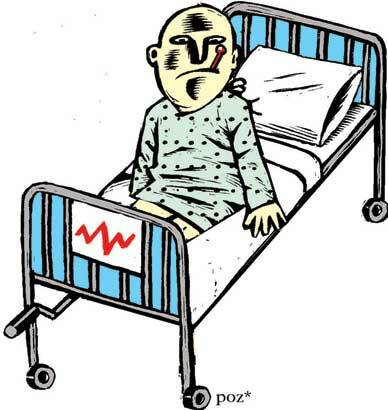 Companies would want to make sure that losses from sick people could be offset by new profits from those who are healthy. In the California debate, some of the biggest carriers–WellPoint, for example–were planning to fight off any threat to their ability to pick and choose whom they want to insure. It’s a good bet that all this will happen again in the legislative process in Washington. Obama has ducked the real issue here: how to make Medicare sustainable well into the future. It’s no secret that the program covering more than 40 million elderly and disabled people will need more money to maintain current benefits. That, of course, could mean increased taxes–or increased privatization, in which beneficiaries are forced to pay more of the cost of care. Like McCain, Obama has hardly touched this explosive issue, aside from saying he wants to allow price negotiation between Medicare and the drug companies, a step experts say will do little to stem the program’s growing costs. Nor has Obama said anything about paying for long-term care, another looming budget crisis. Obama’s approach to health reform is incremental, calculated not to arouse opposition from private industry, at least not now. But if he wins in November, with the current system’s ailments growing more acute and people continuing to lose coverage with no way to pay for care on their own–and with the single-payer movement gaining more converts–Obama may have to play a bolder hand as president.